The second part of the deliverable 2.2 reports an overview of the results of the case studies analysis, with the comparison of relevant indicators, costs, and performances among the case studies considering the effect of local specificities, different context and use of the buildings (i.e. normalised results). Figure 2 Life-cycle cost breakdown – normalized values. Figure 1 shows an overview of the average impact of all the phases on the LCC. 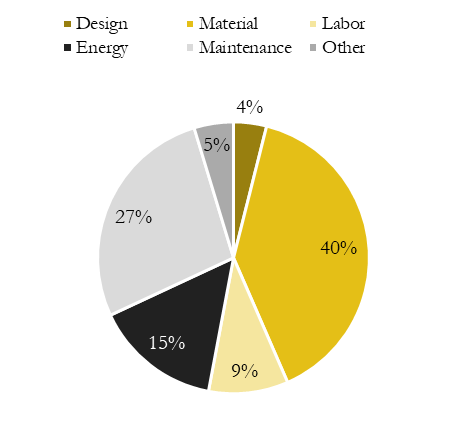 The investment costs for design, material labor and other initial expenditures is around 60% of the LCC, while the energy and maintenance account for around 40%. As it was expected, the energy costs during the life cycle of a nZEB represent a minor contribution to the LCC, with an average of around 15%. Figure 2 shows the absolute values in €/m2 of the LCC. It is important to point out that the contribution from the RES is accounted as a reduction of the energy cost of the overall life cycle (calculated as a balance between energy consumed and produced). In case of GreenHome, the energy reported in the chart assumes a negative value, since the energy produced is higher than the energy consumed, considering the large PV field installed. Figure 3. Construction cost breakdown. 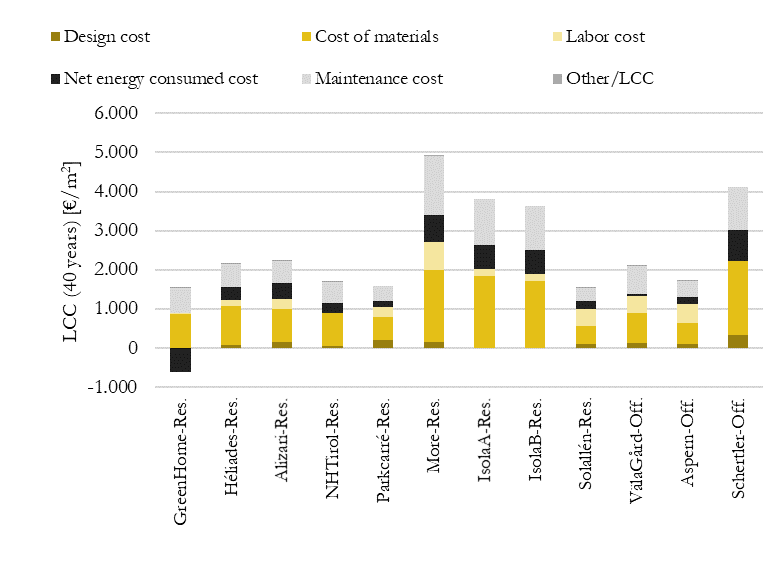 Figure 3 reports the breakdown of the cost for the building elements, highlighting the impact on the construction costs. It shows that in some cases the structural elements represent a significant contribution to the construction, according to the complexity and the dimension of the building. On the other hand, nZEB related technologies have a small impact on the construction costs, although in comparison to a traditional building the cost for the HVAC system and the integration of renewables is more significant.